Brad is in his early 40s, and has been feeling for some time that his life doesn’t really have much meaning or direction, and he feels a “pervasive sense of weariness”. 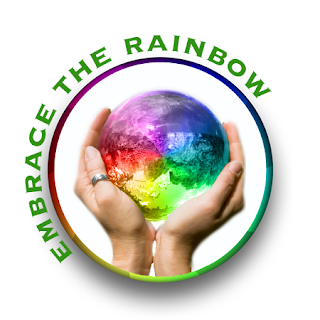 He is a successful lawyer, but winning the big cases doesn’t bring him joy anymore, and certainly doesn’t make him feel that he is making a difference in the world. As Christmas comes around, he is reminded again that he doesn’t have the partner he had hoped and planned for at this time of his life when he was young. Michael had done some videography of Brad’s depositions, and though he is just Brad’s type, Brad didn’t pursue anything because the case was ongoing, and because Michael seems very young, and Brad doesn’t feel right with that type of age gap. Fortunately for Brad, Michael is persistent, so when the case is over, he asks Brad out. Brad surprises himself by accepting, and is introduced to Michael’s world of unconventional, bohemian friends. Michael is outgoing, impulsive, and wears his heart on his sleeve, and he admires Brad in many ways from their time with the case, but then they also find they both share a love of music and singing. Music is a part of Brad that he’s put aside to fit in with the other lawyers in the firm, and finding someone to share it with, especially someone like Michael who is so joyful, is a revelation. Despite his misgivings about the age gap, Brad is utterly charmed, and starts finding ways to spend time with Michael. The angst comes in when Michael’s friends start questioning what he hopes to get out of this relationship, and whether he is even serious about it. Michael LOVES the holiday season, and despite his friends’ blasé attitude, he celebrates with gusto. And that always includes falling in love, because isn’t that a thing to do at Christmas? His friends think this is just Michael’s usual holiday crush, and they are persuasive enough that he starts to doubt himself as well. Cover art by Paul Richmond. The Cover is the series cover, cute and cheery but not really relating to the individual stories. This entry was posted in Book Reviews, Books, Contemporary fiction, Dreamspinner Press, eBooks, LGBTQ Book Reviews, M/M Book Reviews, M/M Contemporary Fiction, M/M Fiction, m/m holiday stories, M/M Romance and tagged A Caryn Advent Release Day Review: A Holiday Crush by CJane Elliott, A Holiday Crush by CJane Elliott, age difference in lovers, author CJane Elliott, Dreamspinner Press 2017 Advent Calendar Daily - Stocking Stuffers. I really, really expected to like this book, having enjoyed the first in the series, All the Way to Shore, and because I like this author. Ugh, I hate to be disappointed. I feel like this book had most of the tropes that are totally overdone, ineffective, and ultimately turn me off. It was evident from the very beginning, and never got any better. Anthony Vallen is the fabulous, campy cousin who was introduced in book one. He’s been all about casual hookups, and though he believes in fairy tale endings for others, he has been avoiding getting emotionally involved since his first love – in highschool at age 17!!! – broke his heart. OK, that’s annoying trope number one. He’s now on the cusp of 30, and is going on a vacation in Key West with Marco and Jonathan and Sophia from the first book. Marco and Jonathan are disgustingly sweet together – which was not how they are portrayed in the other book – and Anthony is feeling jealous of a relationship for the first time in his life. The first night in Key West they go to a bar, and lo and behold, there is Walter Elkins, the boy who ran away from Anthony just after high school graduation and ruined him for any other man. And not only does he own the bar, he is also the owner of the scuba diving business where they’ve booked their trips. So there is no way they can really avoid each other. The background is that Anthony almost drowned while swimming with Walter the summer after graduation, and that’s when Walter left him, with the words “I’m not good for you…I don’t want to hurt you anymore.” And that would be annoying trope number two, especially when the excuse was so flimsy. Yeah, yeah, turns out there was a traumatic event in Walter’s past (of course), but I was not convinced. And when he goes on to continue to use that same excuse (with other misplaced responsibility issues) to avoid Anthony in Key West, it just irritated me more. Walter is supposedly a very successful businessman, who reinvented himself after he abandoned an equally successful career as a chemist, who used to be pathologically shy but is now friendly with and supported by all of the locals, and I just couldn’t reconcile that with a man who was so deeply insecure about Anthony. To give her credit, the author tried to sell it, but I just wasn’t buying. Anthony was only marginally better at communicating. To top it all off, both men then go into TSTL (too stupid to live) mode when a hurricane strikes. I may be a little more picky than average about that, since I live in Florida we know hurricanes, but going outside when winds are at peak is ridiculous. If someone needed to be injured to move the plot along, that was not the way to do it – and to make it worse, several of the locals were happy to brave the winds along with them. Just, no. Annoying trope number three. So this book was almost a total fail for me. Anthony was childish and annoying, Walter was pathetic, and I didn’t like either one of them. I didn’t really care if they got together or not. I was happy to revisit Marco, Jonathan, and Sophia, and I did enjoy the new character introduced – Miles, pansexual, genderfluid, and likely to be the main character of the next book in the series. So I will look forward to reading it when it comes out, and that is the only reason I gave this book 2 stars. Cover art by L. C. Chase is again lovely, the underwater scene is appropriate, but the models – both in expression and looks – didn’t fit the characters as much as I would have liked. This entry was posted in Book Reviews, Books, Contemporary fiction, Dreamspinner Press, eBooks, LGBTQ Book Reviews, M/M Book Reviews, M/M Contemporary Fiction, M/M Fiction, M/M Romance, Uncategorized and tagged A Caryn Release Day Review: In Over Our Heads (Stories from the Shore #2) by CJane Elliott, author CJane Elliott, In Over Our Heads (Stories from the Shore #2) by CJane Elliott, Stories from Shore series by CJane Elliot. Wild and Precious by CJane Elliott is one of those books where I wanted to either issue no rating at all or multiple ratings for various elements because at 80 pages this author has done so many things right that the parts where that irritate or pull the story down just don’t count as much for me as they might with others. First, I’m going to start with my largest possible author peril of them all, the location of Washington, DC. CJane Elliot knows Washington, DC. This story is crammed full of the right streets and locations (yes, I knew where they are/were) and I can’t tell you how often that doesn’t happen. Jets land in Bethesda..not Oh, the howlers I’ve read. So to have an author get it right? Bonus points! Handing out the gold stars now. I like the use of a poem, The Summer Day by Mary Oliver, that’s a lovely touch and an element that will flow through the story. I very much thought the author did a thorough job with her characterizations given the short amount of story. Brent was a treasure. I enjoyed Brent’s sexual awakening and his easy relationships with his boss and friends. The same goes for Cody Bellstrom, the easy going musician and his two amazing women friends. They were an especially strong couple. Graham was the lesser of the three individuals, and that was due to his position in the story, an irritation for some (including me). I think that will also impact how most readers will feel about the twisting relationships and who ended up with who. Most readers go into a story with the expectation that the couple they meet first off is the couple they end with. Is that a reasonable expectation? Does love always work that way? What happens when the answer is no and the people in question are better off that way? An even more serious question. Perhaps one not many romance readers want to answer. I found the shift between relationships uneven and thought it hurt the story because of the imbalance. At 80 pages, its worth taking a different look at how one man found his sexuality and true love…and sent another one his path to his own. 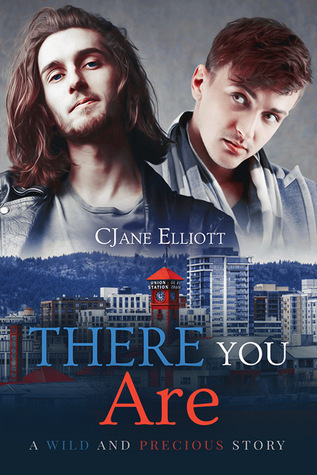 Yes, there is a sequel to this book, There You Are by CJane Elliott. Look for my review soon. Yes, I loved it. Cover Art by AngstyG. I don’t know about the cover. It screams politicians and teenagers to me for some reason instead of musicians and hip music writers. Just doesn’t work. 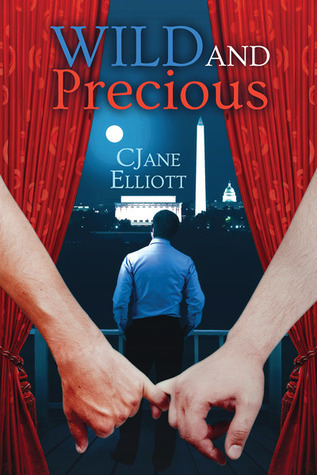 This entry was posted in Book Reviews, Books, Contemporary fiction, Dreamspinner Press, eBooks, LGBTQ Book Reviews, M/M Book Reviews, M/M Contemporary Fiction, M/M Fiction, M/M Romance, Uncategorized and tagged A MelanieM Recommended Story, A MelanieM Review: Wild and Precious (Wild and Precious #1) by CJane Elliott, author CJane Elliott, first in a series, The Summer Day by Mary Oliver, Wild and Precious (Wild and Precious #1) by CJane Elliott, Wild and Precious series by CJane Elliott. 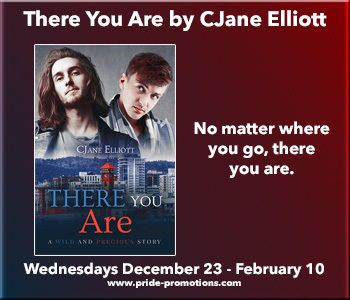 Today I’m very lucky to be interviewing CJane Elliott, author of There You Are. Hi CJane, thank you for agreeing to this interview. Tell us a little about yourself, your background, and your current book. Hi there! Thank you for having me on the blog today to share about my new novella, There You Are, which is the second book in the Wild and Precious series. There You Are picks up the story of Cody Bellstrom where we left him in Wild and Precious. 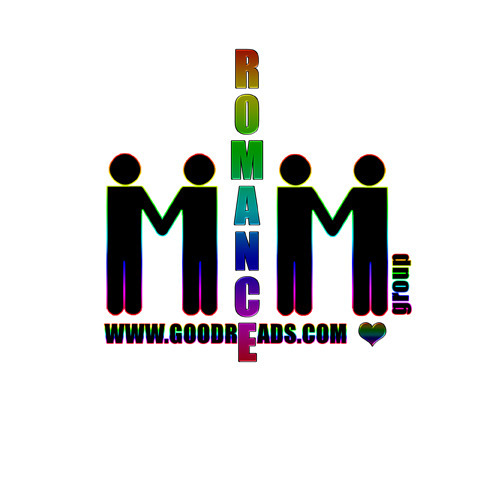 He moves to Portland, Oregon, and meets the man who is to become the love of his life, Phineas MacDonald. But they both have issues to work through before they can get to their happy ending. Phineas sucked his thumb until he was five. Cody doesn’t mind Phineas’s oral fixation. Cody started his music career with clarinet lessons at age six because his father was a jazz drummer who loved classic jazz music and wanted Cody to be the next Benny Goodman. Cody quit clarinet after his dad left them. Many times! I tend toward writing angst so there’s a vein of melancholy running through most of my writing, even though my characters get to their happy ending. I don’t want to make it too easy on them, though! No. It appeals to me from the standpoint of having someone else be involved in the writing. But that’s also why I’m leery of it, because what if we proved incompatible? What I’d really like to do is team up with some fellow writers and do an anthology of some kind. It’s different things at different times. These last few months the most difficult part has been continuing to write at all while working almost fulltime, preparing for the holidays, and preparing for this book release. Usually the most difficult part is starting something new, although I’ve been using outlines and other tools to create plot and characters ahead of time and that makes it easier. Pasta, chocolate, red wine, and coffee. Enter to win a Rafflecopter Prize: Any book from CJane’s backlist. Must be 18 years of age or older to enter. 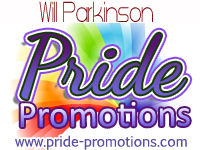 Link and prize provided by the author and Pride Promotions. This entry was posted in Book Reviews, Books, Contemporary fiction, Dreamspinner Press, eBooks, LGBTQ Book Reviews, M/M Book Reviews, M/M Contemporary Fiction, M/M Fiction, M/M Romance, Uncategorized and tagged A Pride Promotions Book Tour and Contest, author CJane Elliott, bisexual, contemporary, gay fiction, There You Are (Wild and Precious #2) by CJane Elliott.